From Washington D.C. comes The Very Small, a brand new rock band with a cool 90’s vibe, a unique bubbly sound and the kind of creativity that’s sorely needed on the indie rock scene at the moment. Through a healthy mix of heavy guitar work, skilfully layered vocals and fun, instantly likeable and memorable melodies, The Very Small (Robin Smith, Aaron Mann, Zack Berman) are on their way up. These guys have something special so it’s definitely worth checking ’em out. 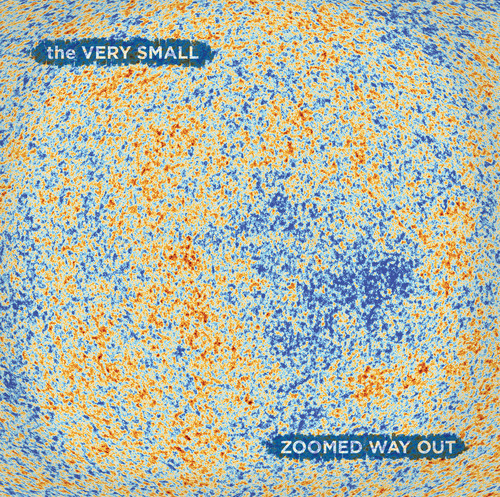 Case and point: their new album Zoomed Way Out, which follows their first self-titled effort The Very Small, released back in 2008. While first albums bear the pressure of introducing us to a band, second albums usually face the struggle of either matching the first album’s fresh burst of “new” or solidifying an, as yet, not quite polished sound. 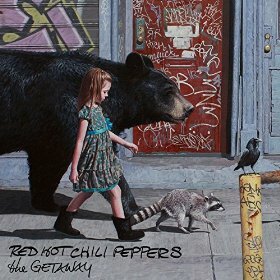 Have The Very Small managed to bypass the curse of the second album? The first song, dramatically titled “URGENT!”, is packed with energy, catchy riffs, defiant lyrics and vocals almost reminiscent of some of Big Audio Dynamite‘s work: there’s a punky Mick Jones-esque tone to parts of the song. Having said that, this first track does give you a decent idea of what a rockier, U.S. version of Blur would have sounded like back in the day. The new single, “Said And Done”, is next and was definitely the right choice to represent Zoomed Way Out since it boasts one of the catchiest melodies on the album, a hook that quickly gets in your head and never leaves. Which isn’t a bad thing, especially since said hook is given space to breathe among a fast-paced beat and booming riffs, never allowing it ot get repetitive. The following track, “Timers”, is a softer, more heartfelt track with a futher emphasis on mood. The varying, electric structure of the song taking you different places emotionally as the drums cleverly suggest a “timer”-style beat. “Don’t Forget The Lie” follows and that one starts with ominous chants and a chilled-out beat, it’s another softer track with a haunting quality to it. It does pick up quickly, though, adding in the odd dose of anger and bitterness every now and then. “Unsaid” then tricks you into believing you’re listening to another slower track before plugging in and mixing it up playfully. There’s some great guitar riffs underlining the verses in this one and the drums, which get increasingly inventive, support the catchy vocals perfectly. Title track “Zoomed Way Out” is next and seems to know it’s a title track and therefore has to be particularly good and particularly different right off the bat as it builds up slowly but surely with a blend of purposeful simplicity and an atmospheric, head-infesting melody. It’s easily one of the best tracks on the album and it lives up to its self-titled status. Do look out for some unexpected instruments making a cameo appearance and one of the coolest and best-timed breaks I’ve heard in a while near the end. Next up is “PB & J”, a much more experimental track with some spacey, layered vocals, an eclectic beat and a mysterious feel. You might not know what to make of this one at first but, trust me, by the end of it (it’s a short one) it should have grown on you nicely. “Thinking Out Loud” is a sharp turn into heavier, Foo Fighters-esque territory and that proves to be yet another surprising direction for The Very Small to go into and, against all odds, completely nail. It’s this reviewer’s personal favourite on the album: its always evolving structure, screaming vocals and non-stop energy are simply irresistible. “Sonidos Lupinos” brings with it more cowbell (gotta have more cowbell! ), funky bass-lines and a dancier, more latino beat. It’s a thoroughly entertaining and playful track you’ll want to hear all the way through as, once again, it goes interesting, unpredictable places. Song number 10 is “At Her Sight”, a folk-style ballad in which the vocals choir around the chorus, turning it into a pretty, nostalgic refrain. Finally, we have “The Worst Form Of Violence”, which starts with a simple-ish, regular piano rhythm before those uniquely layered vocals which would make The Proclaimers jealous show up, prompting another experimental track but one that tops off the album with a nifty mix of everything the band does best. You never know where the song will take you but wherever it goes, you’re more than happy to trust it and let it work its magic. So there you have it, The Very Small’s second album and it’s one accomplished, remarkably well put-together piece of early 2000’s grungy angst, retro-friendly alternative melodies and vibrant, up-to-date freshness packed full of terrific ideas and songs you’ll want to discover and rediscover. There’s an effortless versatility to this band that’s undeniably promising and I, for one, look forward to what The Very Small has in store next! In the meantime, be sure to listen to Zoomed Way Out and their previous album, including the new single “Said And Done”. You can find The Very Small on Twitter (@TheVerySmall), on Facebook, Bandcamp and www.theverysmall.com. That’s 4 Red Hot Chili Fellas out of 5 from us for Zoomed Way Out. Welcome all, to the Feedback Theatre. The place where we go back and listen to all kinds of music, from classical to punk rock, then give you our feedback. Spotlighting up and coming artists, bringing you lesser known music from all around the world and much, much more, our mission is one of nostalgia, curiosity and discovery. 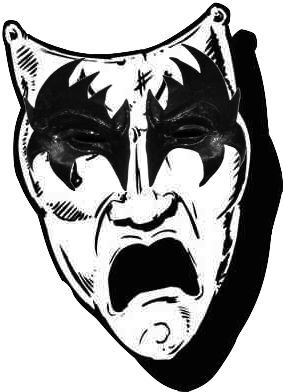 You can expect reviews, music video breakdowns, interviews, spoofs, articles aplenty and even a podcast! Interested in writing for us? Got a new band you’d like us to spotlight on the blog? A song of yours you’d like us to feature? Or just an artist/song/album you’d like us to talk about? Just email us at: feedbacktheatre@gmail.com. 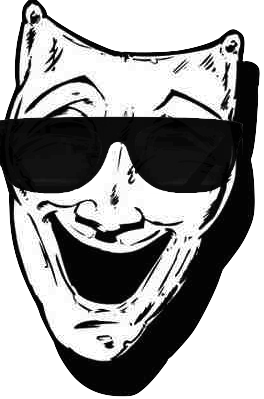 The look of the blog should change now and then so please forgive its initial rudimentary appearance. It’ll remain somewhat experimental until a website is finally put together. In the meantime, just sit back, relax, wait for those red curtains to lift and enjoy our Feedback Theatre.